Photo gifts are some of my favorite things to give! 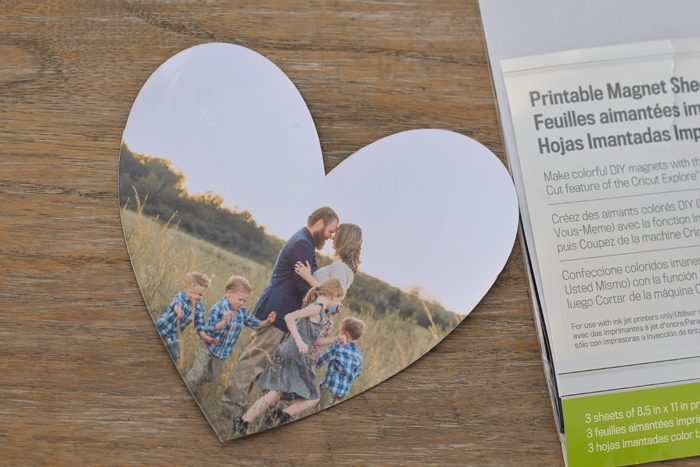 See how to easily create DIY Photo Magnets with the Cricut Explore Air. This post contains affiliate links. I’m a sucker for photo magnets. I gave out several for Christmas gifts last year. Any time I see a photo company offering those freebie magnets like they do every so often, I usually can’t resist ordering one. The downsides to ordering magnets from a photo company are 1) I still have to pay shipping (which is often a bit too expensive) and 2) the freebie usually takes a few weeks to arrive. When I want a photo magnet to give as a gift in a last minute situation, this means I need to get creative and DIY it! Luckily, my Cricut Explore Air 2 makes DIY Photo Magnets easy. New Cricut users often ask if uploading their own images is easy to do in Cricut Design Space. Absolutely yes! I’ve used several different softwares in my day, and Cricut Design Space is the most user friendly when it comes to uploading personal photos and images. Open Cricut Design Space. Click on Insert Images. Choose the shape that you would like the magnet to be. In this case, I’m using a heart. Make the shape the size that you would like the finished magnet to be. Click “Browse” to upload your image. Upload the image and click save. After uploading the image, you may think at first that the photo has disappeared. To find any image that you have uploaded to be a pattern, click on the shape layer and then click print. Click the image that you would like to use as the pattern. If the photo is not centered, click on “edit” to move and resize the photo. Now print and cut like you would any other image. If you’re new to print and cut, click “Go” at the top menu bar in Cricut Design Space and then follow the directions. The software will walk you through it. For the printable vinyl, use the StrongGrip Cutting Mat. 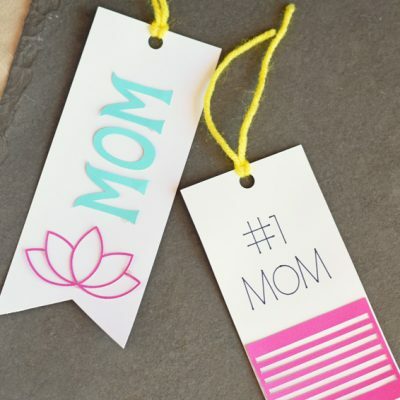 No matter if you are uploading images to be used as a cut file or as a pattern, Cricut Design Space makes it super simple. 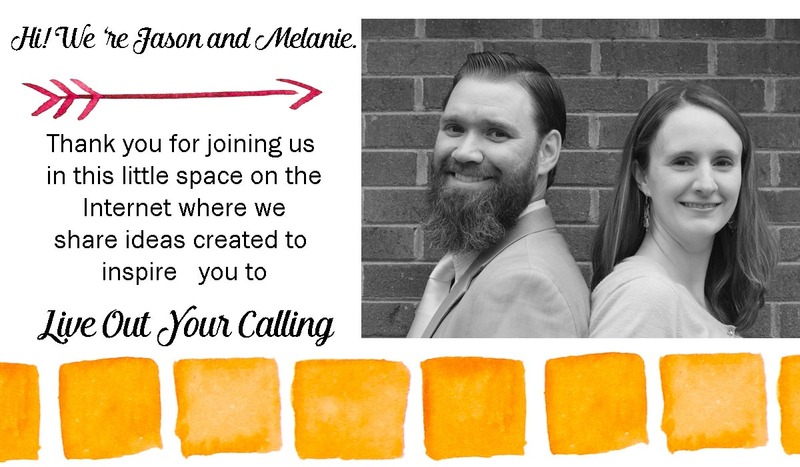 Give this project a try and let me know how it goes! 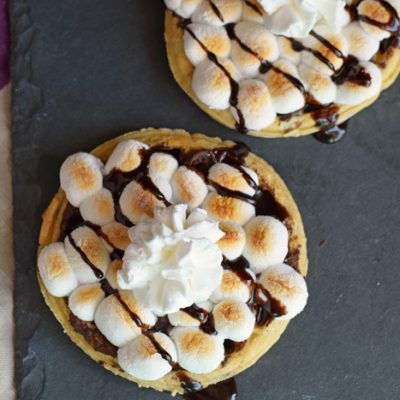 You’ll be making them for Christmas gifts before you know it. 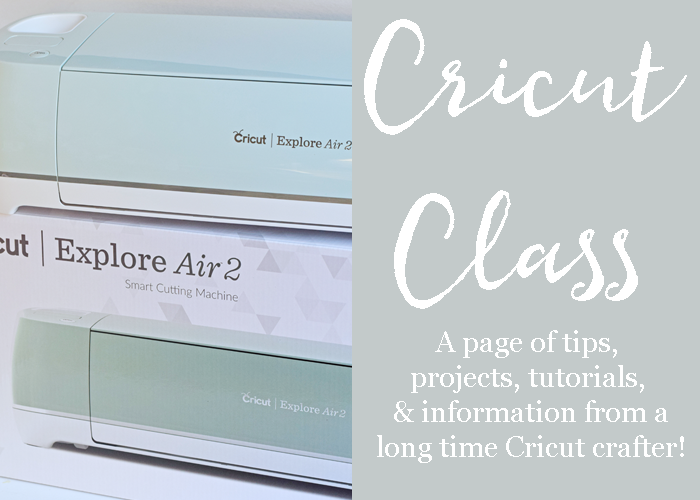 For more Cricut tutorials, information, and projects, be sure to check out my Cricut Class page! Thank you for sharing this tutorial. I’m new to Cricut and can’t wait to try these magnets with photos. I will definitely have to start using my Cricut more. Thanks for sharing! IM CONFUSED..IM NEW TO THE CRICUT?? IT PRINTS OUT THE PHOTO? Hi, The Print then Cut feature allows you to print the photo out on the magnet material with your home printer, and then you place the magnet material on the Cricut mat and the Cricut cuts out the shape. Thank you, I’m get my cricut tomorrow! I’m so excited but I wasnt sure how it would do the photo either. Thank you for the clarification! What printer do you use for print and cut? I have an older HP OfficeJet. The Magnet material works well, but it doesn’t always like the Cricut brand sticker paper. I’m new to cricut , can you use any magnetic printable sheets ? Hi, I would just watch the thickness of the magnetic printable sheets that you purchase. 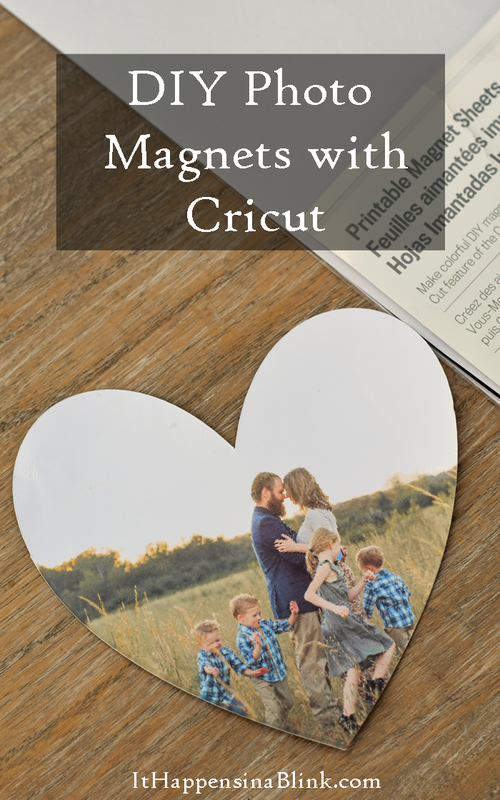 The Cricut printable magnet sheets are 0.28 mm in thickness. The Cricut standard blade cuts through it easily. If you find a printable magnet comparable to this thickness, it would probably work ok. If you have a Cricut deep cut blade, then you could probably use a magnet sheet that is a little thicker. You do need to have a general idea of the thickness of any other magnet sheet that you purchase so that you can adjust the cut settings for the machine. Hi! What is the best type of magnet sheets to use, trying to do some for a car and kinda confused! Thank you! I am assuming that you want them on the outside of the car. I would not recommend these printable magnet sheets simply because the ink would wash off with water. You’ll need to find some that are thicker and made for outdoor use. I have never used anything like that before, so I do not have a brand or type to recommend. Can this be done with a photo from your iPad or iPhone- or do you have to have a computer? Also I have cricut explore air- but do not see an option to do patterns. Any help you can give is appreciated. I do not have an iPad or iPhone, so I cannot speak from experience, but I believe this has to be done on a computer. If you have a Cricut Explore Air, you should have an option to do patterns. The option to do patterns has more to do with the software than the machine. 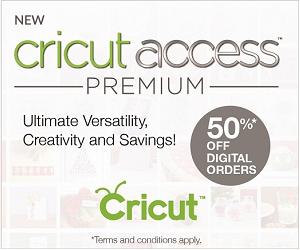 Are you using the new Cricut Design Space 3? Love this project, and hope to try it soon. I don’t have any printable magnet sheets yet, so will have to order it. I tried to make this magnet but is there a way to make the picture not double when doing it? I have the updated version of design space. Hi, I’m not sure what you mean by the picture is “double.” Are you thinking that there is a glitch with the Design Space? Yes, it shouldn’t be putting the photo on twice. It sounds like a Design Space glitch. Have you tried logging all the way out of the program and starting over? You have to click edit and scale it up and the images will change in number. Hi I am unable to centre my pic, in edit my only options are to cut copy or paste. I also get my picture plus a half of another pic. Is this a photo that you have uploaded? Then use the options there to enlarge and modify the horizontal and vertical placement. If your picture is too small for the image you’re placing it in, the “pattern” is multiple copies of the picture so by enlarging it you’ll remove the “duplicate” copies of the picture on the image and can center it. Can you do this with an expression 2? 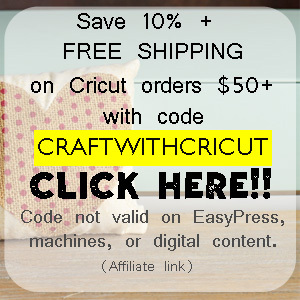 Are you using Cricut Design Space? It can be done with any machine that uses Cricut Design Space and will cut the magnet material. Hi, Yes, I only work on my laptop. There are some Design Space features that are not available on iPad or Android and are only available on the desktop version. I also keep many downloaded fonts and images on my computer that I like for easy accessibility when using Design Space. My laptop has a large screen, making it easier for me to visualize and create designs than it would be for me on a tablet or mobile device. For these reasons, I choose to not use any device other than my laptop. I do not deny that your screen on the iPad looks differently than mine; it probably does! There may also be features that I mention that may not be available on the iPad Design Space version. For your learning purposes, I suggest locating a blogger that uses only the iPad (I do not know of any right off the top of my head) or relying on Cricut. While you can definitely do many of the projects that I showcase on my blog with any version of Design Space, I understand how it may be confusing for a Cricut beginner. 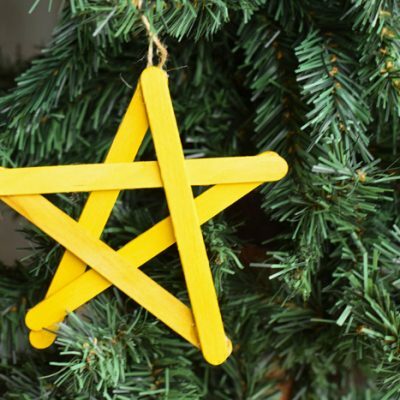 Great DIY idea.Loved It…Thanks for sharing ! Where do you buy the Cricut printable magnet sheets? I can’t seem to find them.